Is a Brick Home Better Than Siding? When deciding to build a home you will be faced with a number of difficult decisions. One of these will be whether to build the property from brick or whether to opt for the more traditional wood frame house; which is clad in your choice of siding. Before you make your final decision, it is a good idea to talk to a reputable professional such as Peter Bracey; this will allow you to visualize the final look of your property if you choose the cladding route. 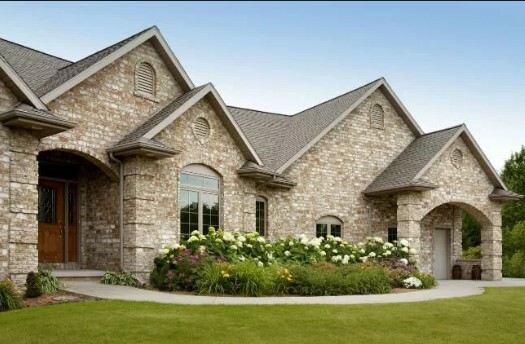 You may be interested to know that 34% of people surveyed preferred brick as their exterior choice. Brick is generally very low maintenance. It doesn’t usually lose color over time or degrade, in fact, brick houses can last for centuries. There is no need to worry about it rotting and, perhaps most importantly in Australia, termites will not be able to eat the supporting shell of your home. Despite being one of the oldest used building materials, brick remains one of the most environmentally friendly. There is an abundance of clay and shale, which are used to make brick. Of course, some energy is used and there is an environmental impact connected to creating the building brick shape. It is also good to know that brick is fire resistant and is surprisingly good at withstanding the impact of flying debris, an important consideration in some parts of the country. In fact, the safety aspects associated with brick means that many insurance companies will actually lower your insurance premiums; that’s an ongoing saving. Of course, building with brick is more expensive than the traditional timber frame with cladding. If you choose vinyl siding then there is no maintenance, except for the occasional pressure wash. Of course, applying cladding to a wooden framed house is a much cheaper option than building with brick. However, there will be ongoing maintenance issues with the wooden frame that you won’t have with a brick house. It will be important to have access under your home to check the structural integrity of the building. But, despite the extra maintenance that will be needed, it is worth noting that cladding allows you to create a unique home, in virtually any style and color. The options with cladding are virtually unlimited; you can even change the look every ten or twenty years just for the fun of it. It is also possible to build and clad a house sustainably, by using recycled wood and composite cladding. This is an important consideration in an environmentally conscious world. This is a difficult question to answer as the final decision will be personal. If you want low maintenance and live in an area prone to storms then brick could be the best option. However, if cost is more of an issue and the weather less, a timber frame with cladding is a viable and attractive solution.